Sometimes even highly able Painting students feel stuck in a rut. 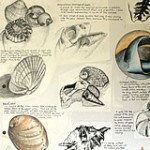 If your IGCSE or A Level Art Coursework project feels stagnant, repetitive, or downright boring, you may benefit from increased experimentation with media, techniques and processes (the ideas listed below are also perfect for using in an A Level or GCSE Art sketchbook). While it is important to remember that art-making mediums should be used in a way that supports your ideas, there are times when a dash of unpredictability and thinking-outside-the-box can help. 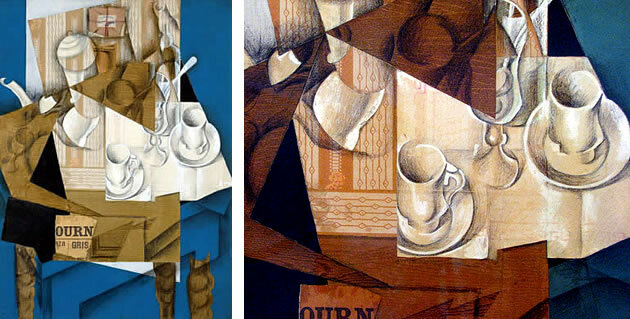 Juan Gris teacups: a mixed media painting upon a collage of coloured papers. The shapes of the pieces of paper are very deliberate, mimicking the angular table edges and table cloth forms. Dark colours can be great for drawing on with light mediums; mid-tone papers (those that are a ‘medium’ tone – not too dark and not too light) are also excellent. 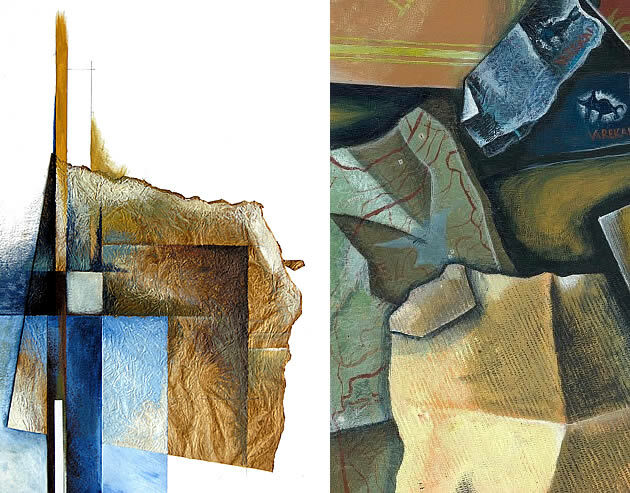 As in the Juan Gris example above and the Indian ink work below, the colour of the paper acts as the mid-tone for the drawing; dark and light areas are added as required (this results in a piece that appears three-dimensional very quickly). Black and white painting on textured paper. 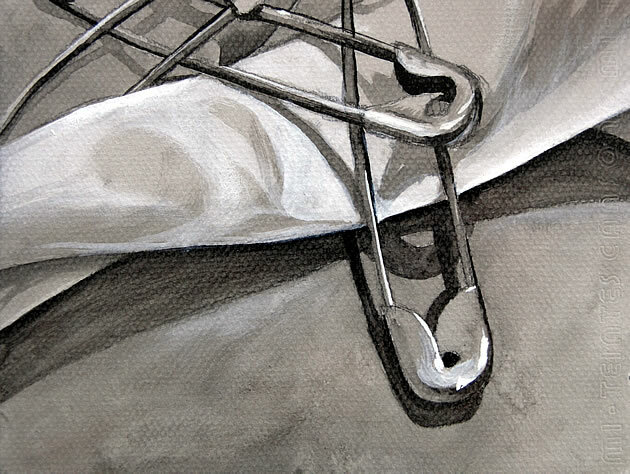 The grey of the paper acts as the mid-tone (example by Amiria Robinson). IGCSE Drawings: a black and white pencil drawing on grey paper by Georgia Shattky and a white charcoal drawing on black paper by Nikau Hindin. 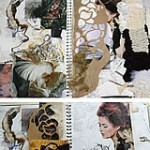 Handmade papers can be glued into a painting and painted over. 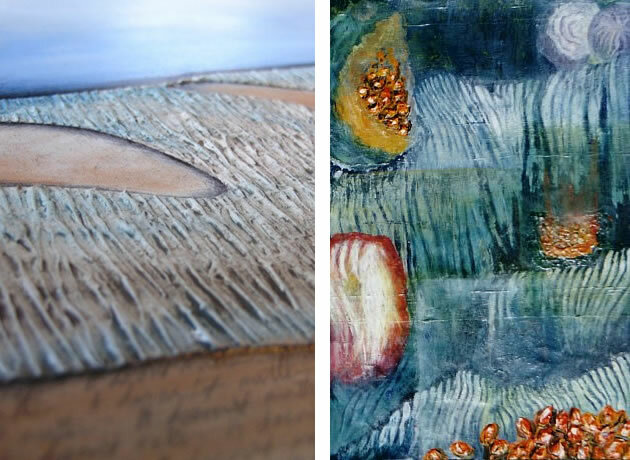 When a dry-brush painting technique is used, the texture of the handmade paper is exaggerated (example on the left by Amiria Robinson). The IGCSE sketchbook detail on the right by Nikau Hindin was created by folding and gluing several textured papers together. The papers were physically scrunched and folded and then painted to exaggerate these folds. 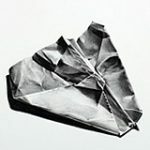 Many people don’t realise that tracing paper is not just useful for tracing – it is an exciting drawing surface in its own right (see examples below by Debby Kaspari and Mercedes Baliarda). Tracing paper can be used to make translucent overlays or glued onto white backing paper (be careful when gluing, as some tracing papers warp hugely when in contact with moisture). The shiny surface creates rich, glossy images that love to smudge and blacken your hands. Permatrace – a thick, waterproof drafting film – is particularly exhilarating: it produces some amazing outcomes with ink. 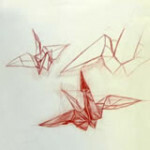 Drawing on tracing paper: The beautiful bird drawing on the left by artist Debby Kaspari has been refined using several layers of tracing paper, with the previous drawings visible and translucent under the final work. The flower drawing on the right is one from series of delicate semi-translucent works by Mercedes Baliarda. 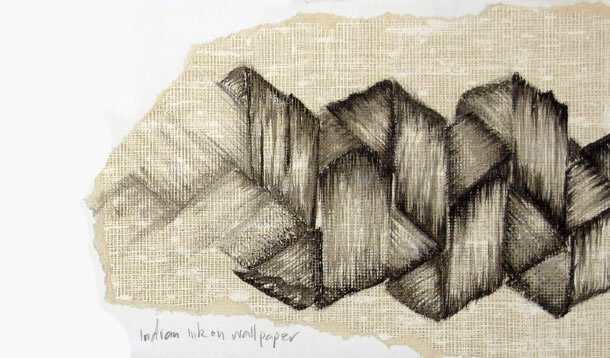 Tissue paper has been used in this painting by Amiria Robinson to help create creases and grooves within a landscape. This Indian ink drawing on a finely textured wallpaper with a fine grid pattern was part of an outstanding IGCSE Art and Design Coursework folio completed by Manisha Mistry. If you experiment with drawing on newspaper, remember that the text becomes a part of your work; this needs to be an intentional and considered decision. If the words are legible, the message contained within the writing should be relevant or, at the very least, not distracting. Jonathan Darby’s art commonly explores humanitarian themes, depicting vulnerable children. In this work (enlarged details shown on the right), painting on newspaper is highly appropriate, as it suggests the child is lost in a landscape filled with litter: discarded. The beauty and innocence of the child are in stark contrast to the gritty, sorrow that surrounds him. 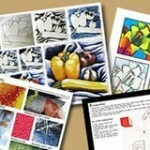 Many artists are achieving great popularity for their drawings upon found, text-based materials. 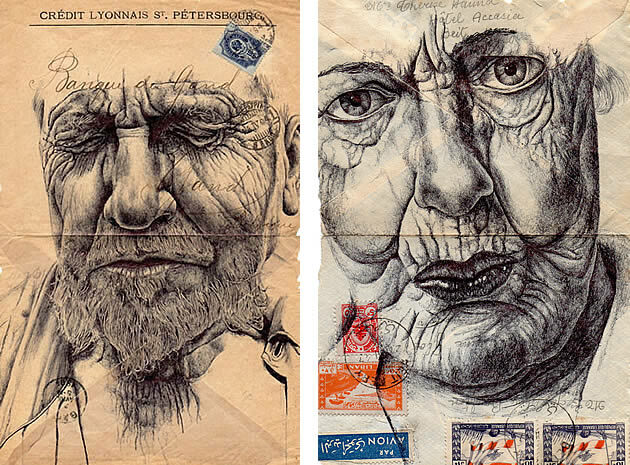 Artist Mark Powell has produced a series of stunning ballpoint pen drawings on envelopes and other found materials. 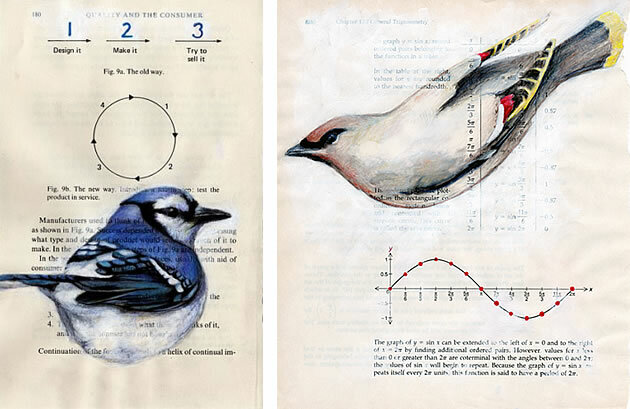 Paula Swisher’s drawings of birds on book pages have gone viral on the internet â€“ loved by people worldwide. Note in this example how certain parts of the background have been highlighted in blue to link with the bird and balance the work. Note also how the circle in the background links with the curving form of the bird which is positioned directly beneath it. 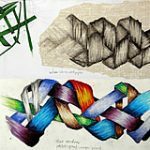 In other words, the book page becomes a carefully considered aspect of the composition – it is not just mere pattern that is used and then forgotten about. While MDF or hardboard is a great surface to paint on, those who have to send away work to CIE are limited by weight restrictions. Cardboard is a suitable, lightweight replacement. Card can provide a sturdy base for a painting and, when cut-outs are glued into a work, can create elevated surfaces that segment a composition, adding depth and shadows. Textured painting ideas: A2 Painting student Nikau Hindin glued MacDonald’s hamburger boxes to her artworks and painted over them (example on the left). 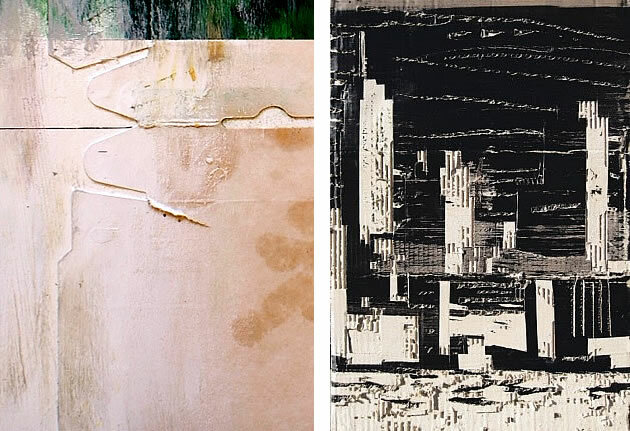 The dramatic cityscape on the right by Olivier Catte was created on corrugated cardboard. The vertical lines of the corrugation are integral to the work. Amazing spray paintings on cardboard by artist EVOL. 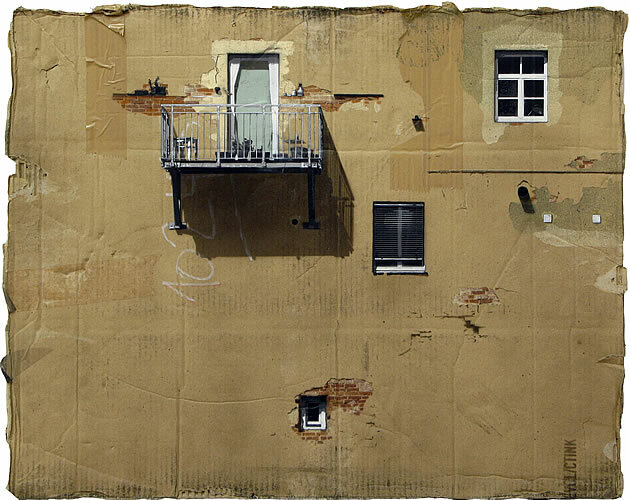 The texture of the cardboard becomes an integral component of the painting: a decaying, crumbling wall surface. While stretched canvases are unable to be posted to CIE, pieces of fabric can be cut and glued onto paper and painted upon. The fine mesh of woven thread can be left as is or hacked at and unravelled, fine threads spiralling into the artwork. It is also possible to ‘stretch’ canvas yourself over a sturdy piece of cardboard, with the canvas edges folded behind the back of the card and stapled. 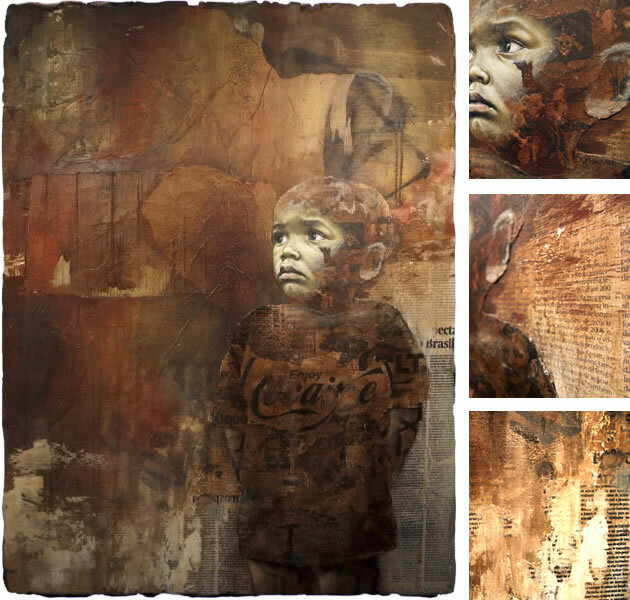 Tony Fomison paintings on hessian: a gritty, absorbent texture. Modelling compound – used for creating thick, sculptural elements in an artwork – often becomes a Painting student’s best friend. Whether used with masking tape to create straight edged areas, or slapped on and scratched erratically with a stick, modelling compound is the stuff of magic. Items can be pressed into it and carefully lifted out when dry, revealing an indented pattern and form; it can be sanded and cut with a craft knife when dry. Texture created on the surface of a painting using modelling compound scratched with the end of a paint brush. When the surface is dry, a watery acrylic wash has been brushed over it; pigment settling in the grooves as it dries (example by Amiria Robinson). 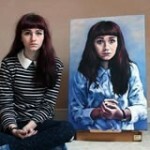 The AS Art painting on the right was completed by Jessica Fong, while studying at ACG Strathallan College. The pumpkin seeds have been raised up using thick modelling compound. 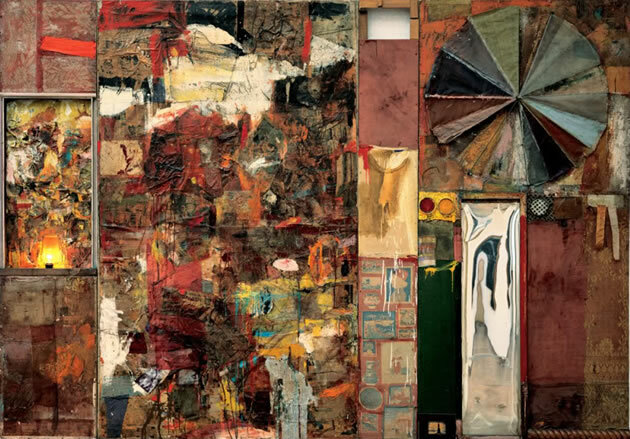 If all of the above fails to inspire, create an assemblage of objects not normally associated with making art (example by Robert Rauschenberg). If you have to send your work overseas for moderation and/or assessment, bear in mind that your options are limited by what is able to be shipped through customs (for example, not organic matter, such as bark or leaves) and by what is small, light and cost effective to post (i.e. not steel sheets). Even with these limitations, however, there are many possibilities. Robert Rauschenberg artworks are sculptural, mixed media collage pieces that merge cuttings, photographs, clothing, rubbish and other found objects. This piece contains pieces of cloth, newspaper and a squashed umbrella. 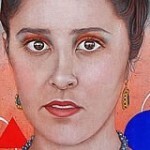 When you shape or create a painting surface, there is something of you invested in the work, before you even begin.